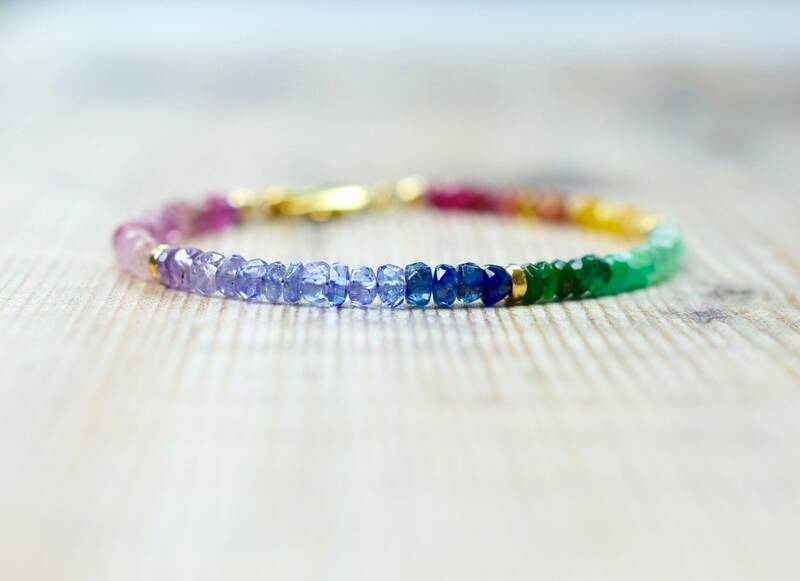 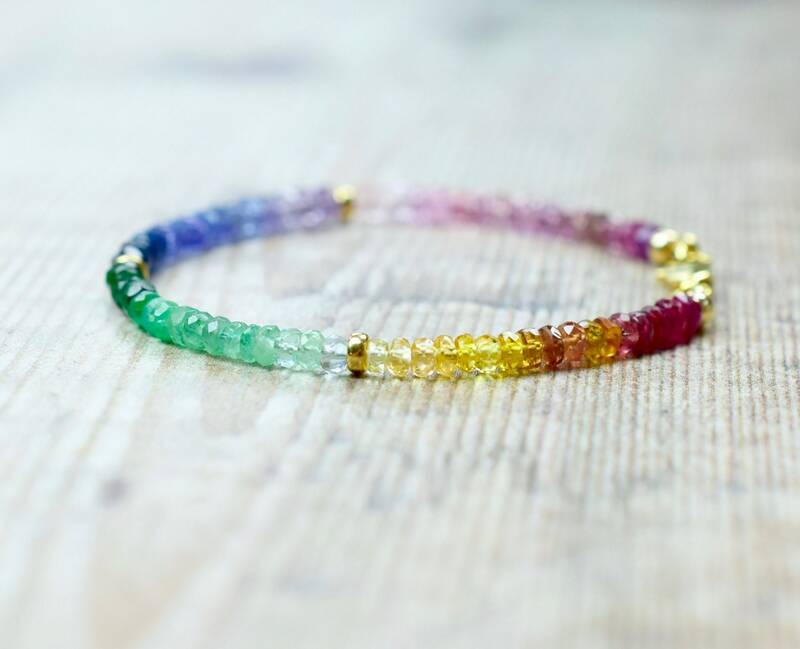 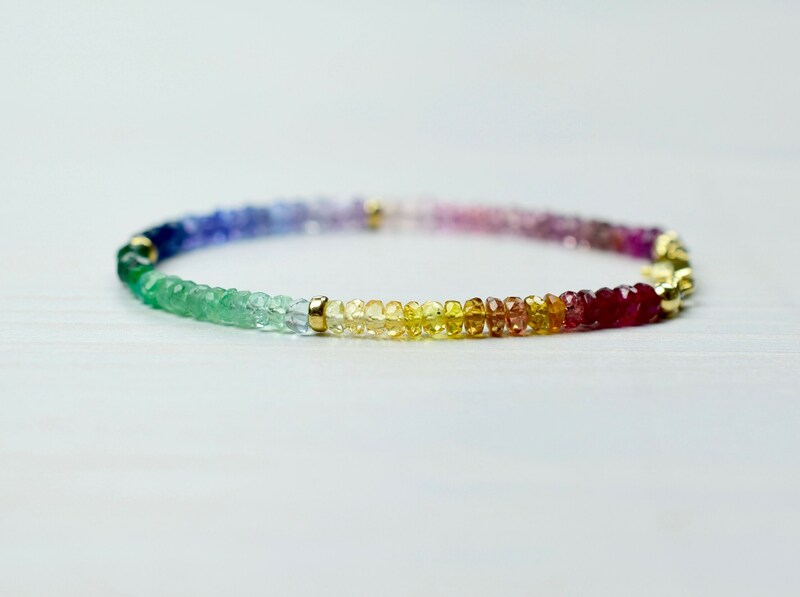 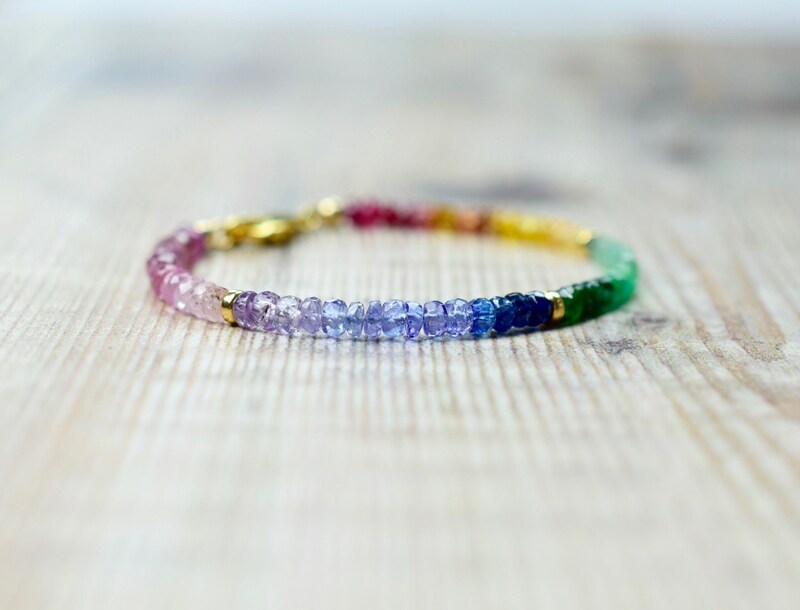 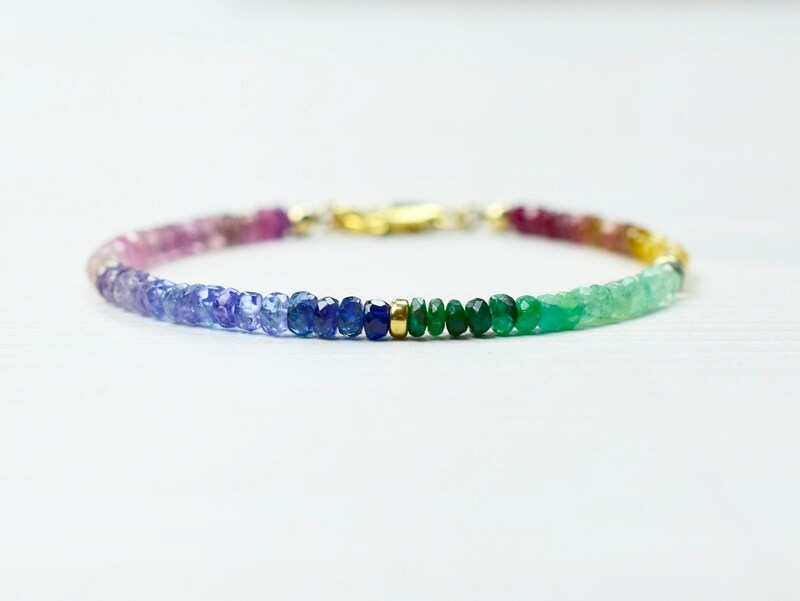 A Rainbow Sapphire Emerald & Tanzanite Bracelet. 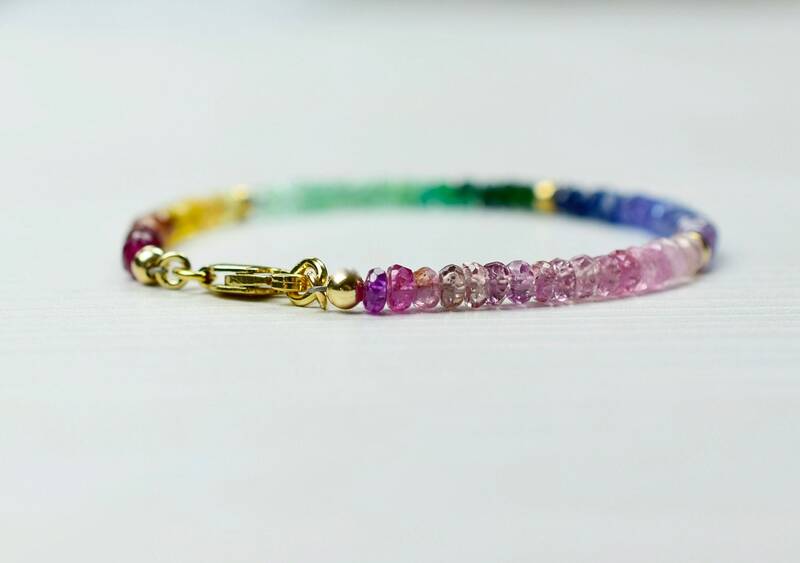 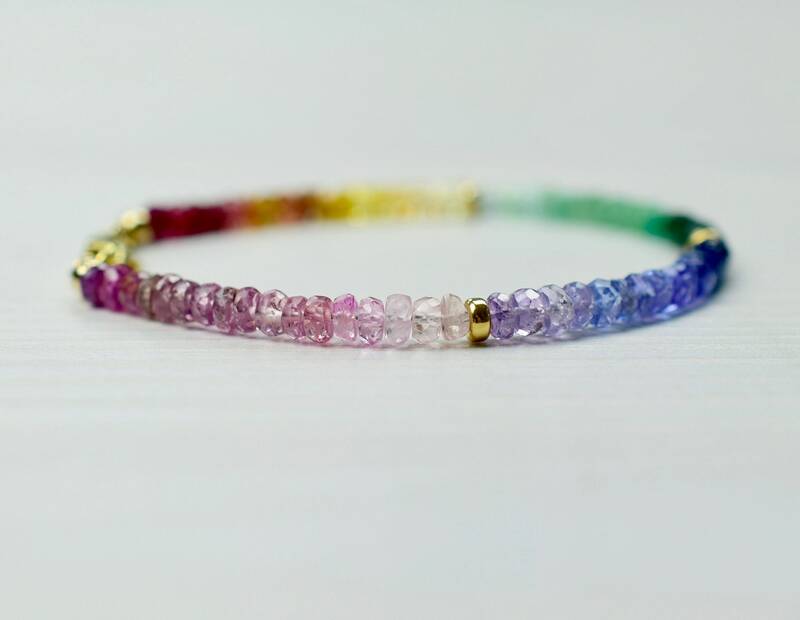 This beautiful bracelet is made with dazzling gemstone beads that are strung in an ombre effect. 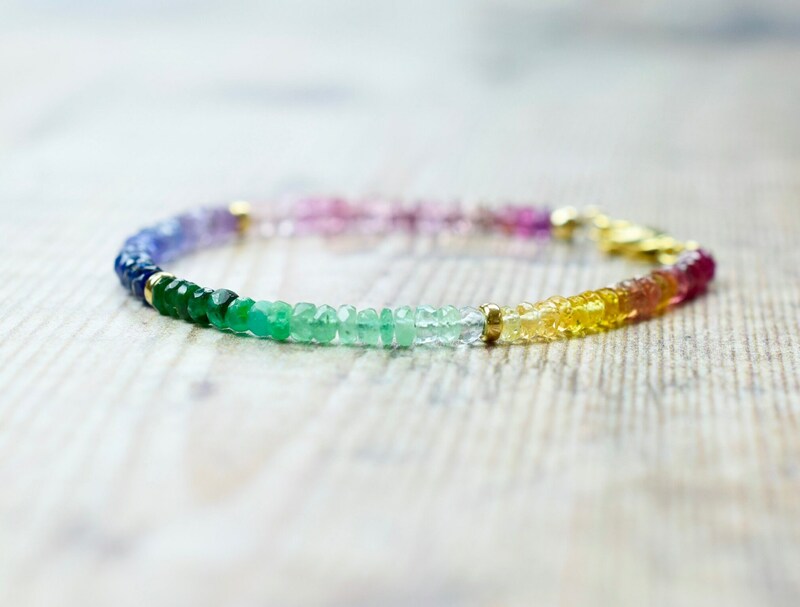 The Sapphire, Tanzanite & Emerald beads have been carefully selected so that they blend in harmonious tones of the spectrum. 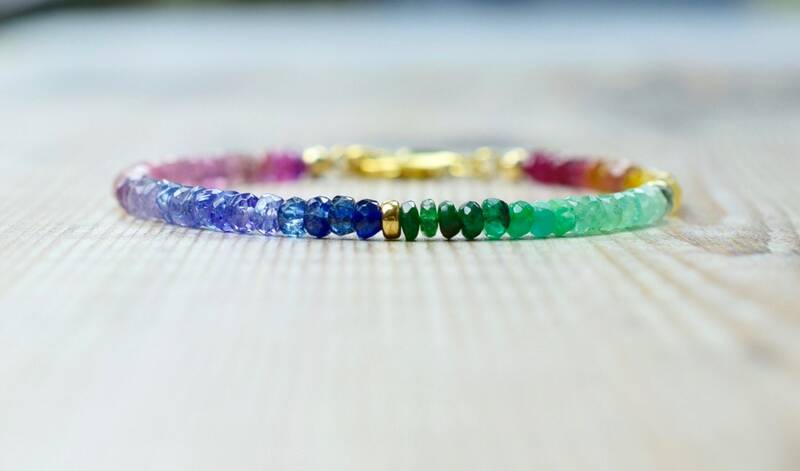 The bracelet is mainly Sapphire and includes a segment of vibrant green Emerald and a segment of violet blue Tanzanite gemstones. 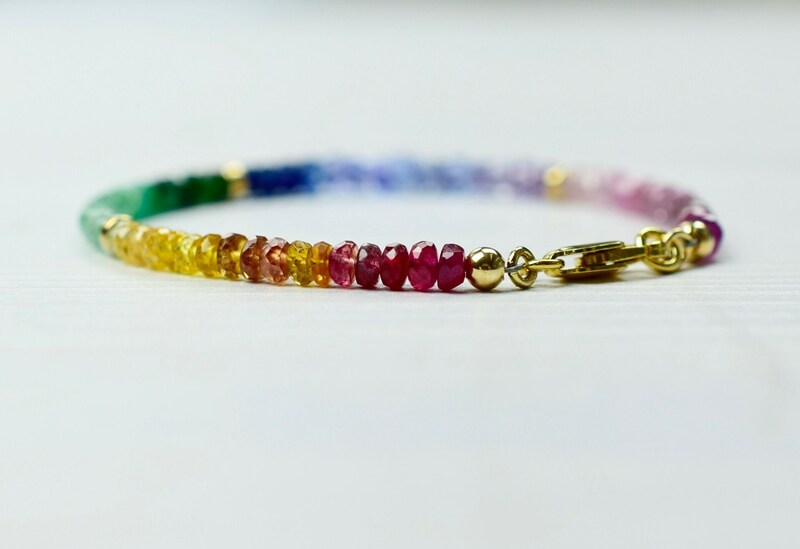 Available in 14k Gold Filled & 14k Rose Gold Fill & 925 Sterling Silver select from the drop down menu above.